This rugged pair of industrial candle holders are certainly going to get you in the mood. Who said that romance is dead? 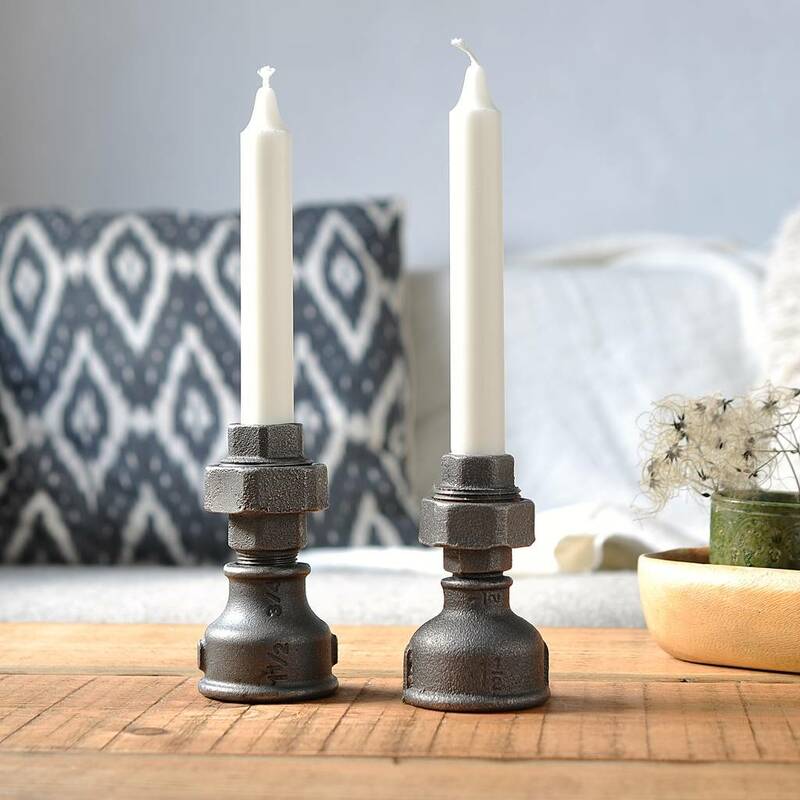 These chunky industrial chic candlesticks are handmade in our Devon workshop. 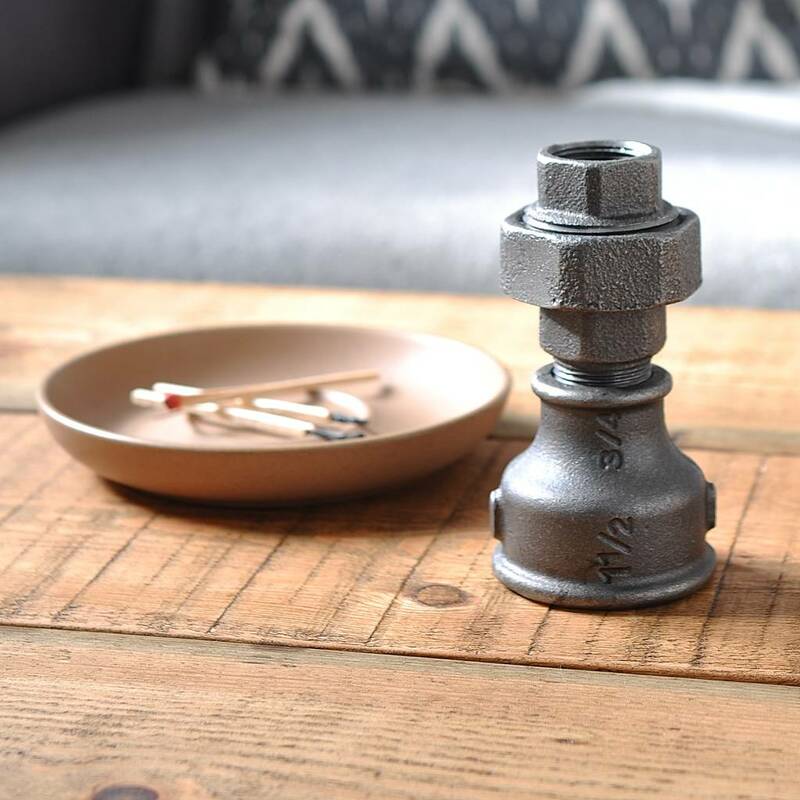 Industrial style steel candle holder, a must have for those with a love for industrial design. 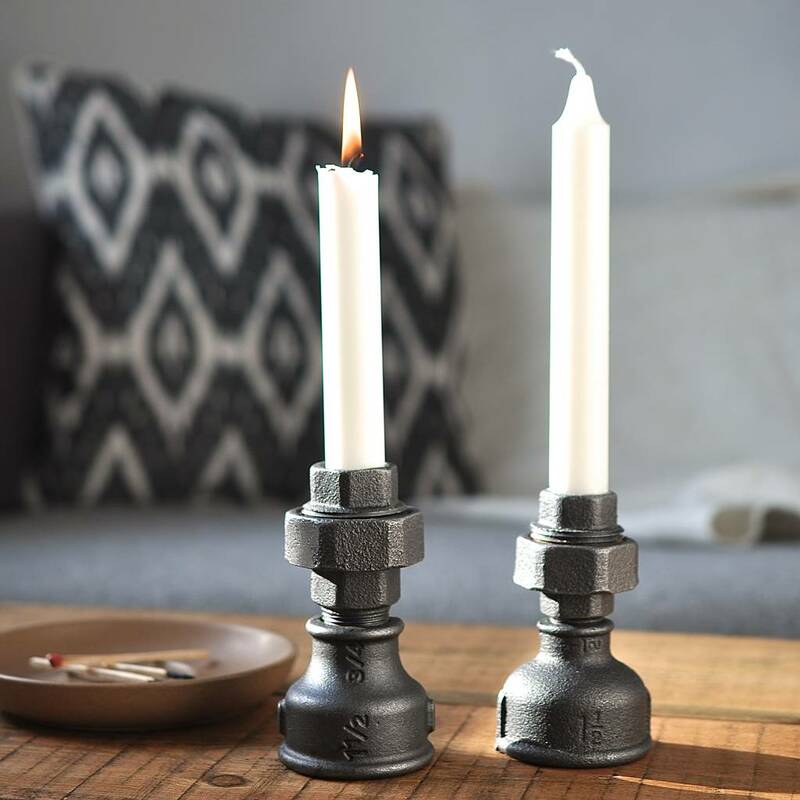 These beauties would look good anywhere in the home, adding to any interior. 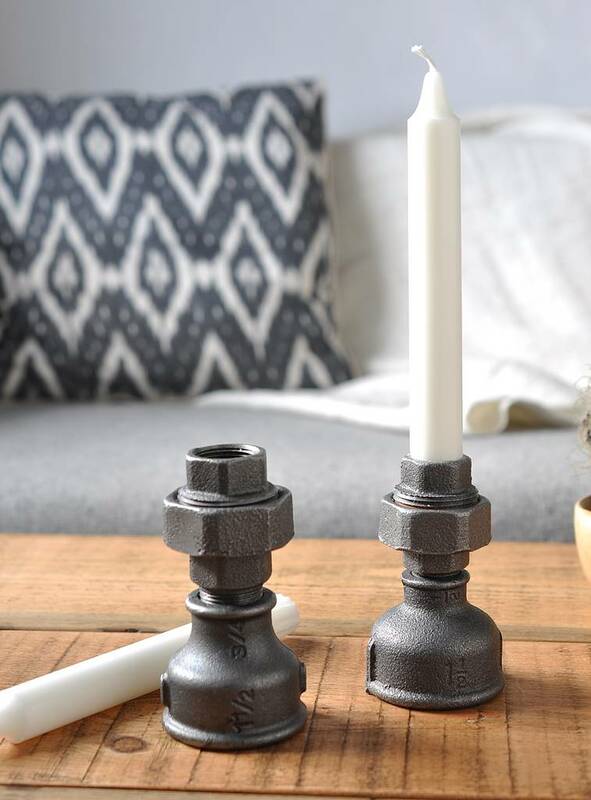 Romantic table lit dinner anyone ? 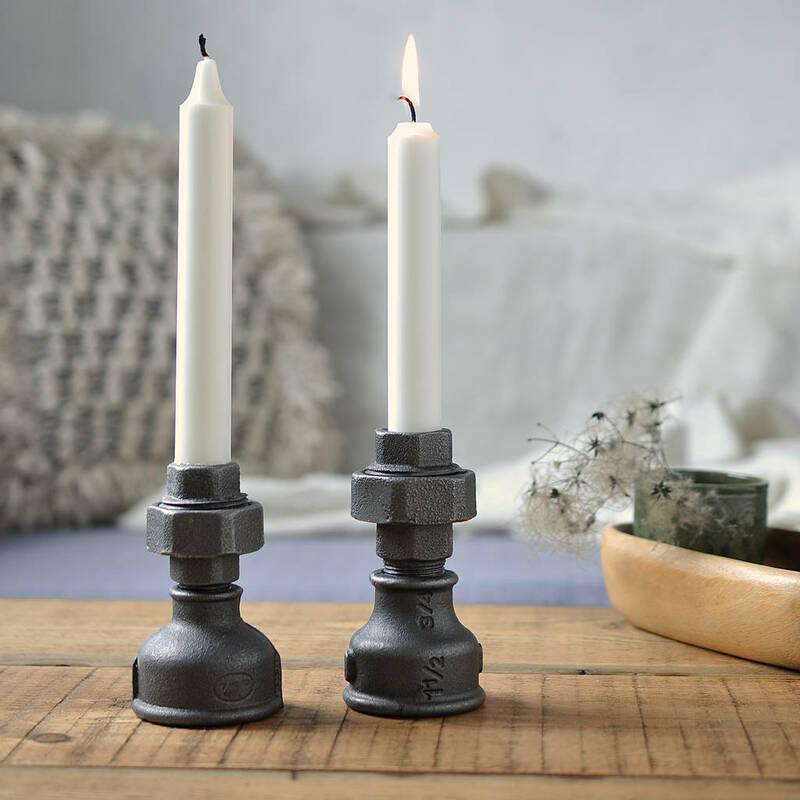 Made with love these are going to be a great gift for anyone with a love of candlelight and dinner parties.